Even though his Senate race is in the middle of a recount, the governor was with new senators. 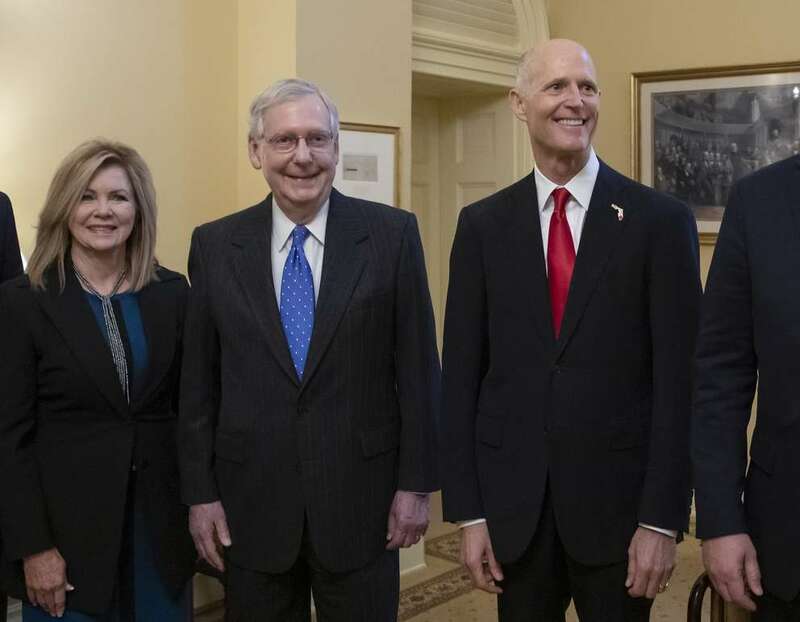 A routine photo up in Washington with five newly elected Republican senators and Senate Majority Leader Mitch McConnell was anything but on Wednesday. That's because a sixth person, Florida Gov. 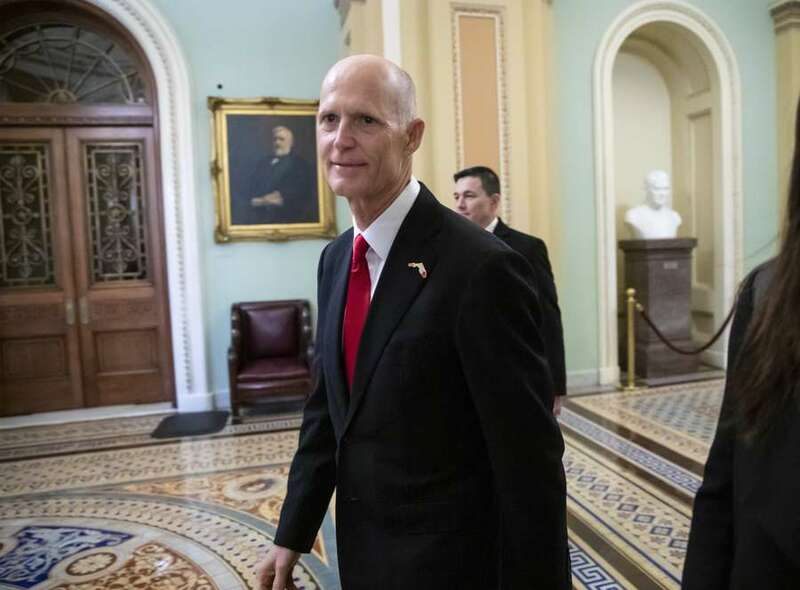 Rick Scott, stood beside them even though his U.S. Senate race against Democrat Bill Nelson is in the middle of a recount filled with lawsuits and unfounded accusations of voter fraud. It wasn't clear if Scott would appear for the photo eight days after Election Day. A program handed out earlier this week included a blank portrait instead of Scott's face as votes are still being recounted. "Our six new Republican senators allow us to continue our majority and we'll be heading across the way shortly to elect the leadership team for the next two years," McConnell said. Scott did not answer questions that were shouted at him during the photo op. His campaign did not immediately respond when asked if Scott will participate in all the scheduled orientation activities for newly elected senators this week, which includes former presidential candidate Mitt Romney. Scott's participation in the photo op — walking and talking like an elected U.S. senator — is a show of force by McConnell and Republicans a day after Senate Minority Leader Chuck Schumer and Nelson appeared together in Washington about 20 feet away from McConnell's office. In that press conference, Schumer declared that there's a "much greater than half chance" that Nelson will win if the recount is conducted "fair and square," though Schumer did not offer evidence that Nelson would be able to make up a larger deficit than any other statewide recount in recent U.S. history. Nelson and Schumer also called on Scott to recuse himself from the ongoing recount which he oversees as governor. As the recount continues and both Scott and Nelson file lawsuits almost hourly, both U.S. Senate hopefuls have one thing in common—neither are answering questions from reporters.